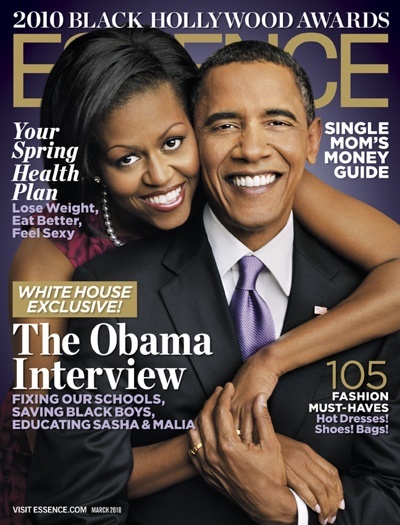 *The March issue of Essence magazine kicks off the first of its three-part education series, Teaching Our Children, with a White House exclusive—an interview with President Barack Obama. He speaks with editor-in-chief Angela Burt-Murray, Deputy Editor Tatsha Robertson and Washington Correspondent Cynthia Gordy about holding teachers accountable, closing the education gap between black and white students, how he and First Lady Michelle Obama encourage daughters Malia and Sasha to love learning, and how you can do the same with your own children. *Meanwhile, the line-up for the 2010 Essence Music Festival will salute the 40-year career of the legendary Earth Wind & Fire. The multi-platinum group joins previously-announced headliner and official spokesperson Mary J. Blige this July 4th weekend in New Orleans. The preliminary line-up also includes Gladys Knight, Keri Hilson, Jill Scott, Raphael Saadiq, Charlie Wilson, De La Soul, Chrisette Michele, Joe, Laura Izibor and Melanie Fiona. Additional details and the full line-up will be revealed in the coming weeks. 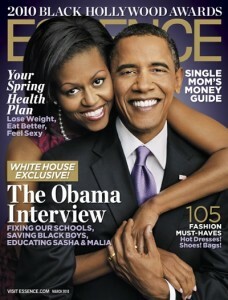 For additional information about ticket sales, accommodations and the latest news, visit www.essence.com/festival.